Boston Pizza Canada has launched a lineup of delicious Thin Crust Creations this week, featuring five new pizza recipes made to be enjoyed on thin crust. The artisan-inspired thin crust pizzas are crafted with hand-pressed dough, made fresh in-house daily, and topped with new premium gourmet ingredients such as bocconcini cheese, honey, barrel-aged Sriracha, avocado citrus ranch sauce, caramelized onions, goat cheese, prosciutto and more. 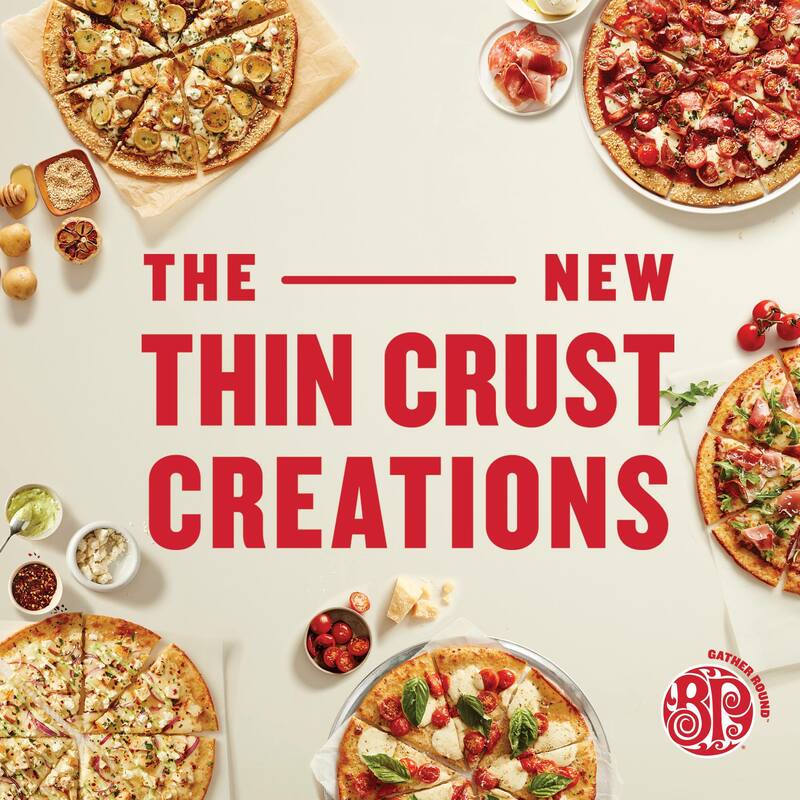 Boston Pizza are giving away 10,000 pizzas so you can try the new Thin Crust Creations, for FREE! Log into your MyBP account and use the promo code NEWTHINCRUST to get yours for free! Not a MyBP member? Click here to sign up and then enter the promo code. This offer is valid on dine in orders only until April 30 2018 or when 10,000 free pizzas are redeemed. Click here to get your FREE Boston Pizza. Could anyone else get this to work? It worked for me when I used the app. No place to enter the code on the “My BP” website. Mine only worked in the app. There is a place to enter promo codes. Guys, try it on BP app. It works for me on mobile but not on computer. didn’t work on PC or through the app.